That way of thinking that has been exploded by the Edward Snowden revelations when the IT contractor was able to access and make available information that led to ramifications still reverberating around the White House, the US and the world beyond. IT is still absorbing the lessons, many of which centre on a return to an older philosophy that says the ‘enemy within’ is the biggest opponent of those charged with protecting information. And if we accept that’s the case then the notion of building perimeter defences and firewalls to deter outsiders becomes no longer sufficient. Mokady couches his thinking in terms of a wealthy householder wanting to protect his or her most precious assets. He’s right, even if, as the CEO of US-headquartered security firm CyberArk, he is biased. His 14-year-old company’s unique selling point is digital vault software that lets organisations’ most prized data be cocooned even from perpetrators that have, by invitation or stealth, made it into the inner circles of companies and public institutions. It’s a technology much in demand to protect data and meet tides of regulatory activity that make the need for information governance ever more pressing. And it points to an absurdity in the way many companies continue to think about security. Naturally, security firms like to paint a negative picture where demons lurk behind every curtain but that doesn’t mean they’re not right and Mokady insists his people are not rubbing their hands in glee at the current precarious state of information security at the highest levels. Mokady isn’t having it, and suggests the genie left the bottle some time ago. Mokady agrees that the US and other countries found to have highly invasive approaches to watching computer users will need to establish new bridgeheads and redraw the lines as to what is an acceptable and sensible eavesdropping policy. But he also believes that arrogant software companies selling suites of software are no cure-all. It’s going to take multiple layers, numerous technologies, educating employees, enforcing policies and more to create best-practice approaches. 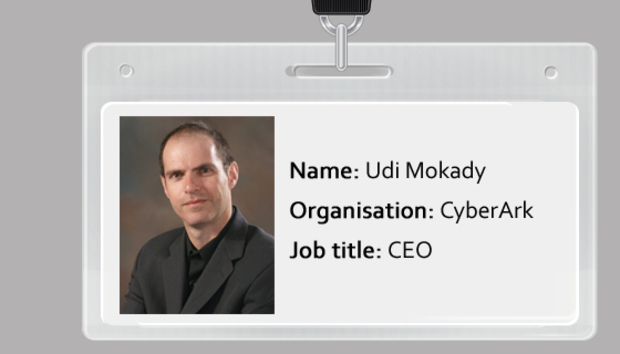 What of CyberArk itself? While many security companies tend to pursue an SOS strategy (‘Sell Out to Symantec’), Mokady says he wants to build a long-term company from his current 300-person base. He is comfortable with being a midsized operation that still has the freedom to innovate through smallish teams that are “driven, like a startup”. The company has an Israeli R&D and management core but is headquartered in Boston and Mokady resists any idea that it is a transplant. However, he is proud of his company’s Israeli roots, saying that the country has prospered in tech because of a unique boldness in outlook. In a similar vein, in the post-Snowden world, it’s impossible for the honest CIO to tell the CEO, ‘We’re covered, we’ve blocked all the threats from outside.’” Physically or virtually, the enemy might already be inside.